2 See Enzensberger 2002 (1970); Horkheimer and Adorno 1971; Luhmann 2002. 1Various social and cultural scientists1 propagate that research on cultural globalisation and localisation should focus on individuals and their thoughts and ideas, since the latter reflect theoretical concepts such as “identity”, “transnationality” and “hybridity”. My Ph.D. project “Significant Sounds – Beiruti Music between new artistic forms and local, global dependencies” focuses on music, as human ideas and visions are not expressed in words only. Musicians choose local and global forms and styles, sounds and beats to create meaning and to express their connection to different cultural, social and ideological settings. At the same time, music, as individualistic and revolutionary as it might be, is always produced, distributed and discussed within different -scapes (Appadurai 2003) of the outside world. It is produced and distributed in highly contesting finance-scapes between multinational companies, that aim to control global and local cultural markets, and independent networks, that benefit from new possibilities in music production and distribution given by multimedia and communication industries (techno-scapes). Global and local media-scapes influence music production by creating cultural tastes and standards2 and subsequently by constantly reproducing those standards with their choices. Steering happens as well through values and ideologies promoted by local and global governmental and non-governmental institutions and organisations (ideo-scapes) through funding decisions and sometimes censorship. Last but not least, in a country like Lebanon local and global ethno-scapes have an impact on musical creativity: the global world music market and the international funding bodies tend to favour local and transnational music that deals with its Arabic cultural heritage. Many authors have pointed out the concept of difference3 in their writings on cultural dialogue between the “East” and the “West”. Eng (in Shepherd and Wicke 1997: 98) even considers that “the racist love of a foreign country” [the love of difference] is strongly “linked to women and to music.” Inside Lebanon the different cultural representations of the various religious communities – from the popular, synthesised dabkeh songs praising Hezbollah or Amal leaders to the hymns for the Christian Lebanese Forces and Kataeb militias – were always a challenging factor for the national identity in this multi-confessional state. The Lebanese minister for culture, Dr. Tarek Mitri, stated in a conference on “Cultural Diversity”4 that Lebanon, on the one hand, is proud of its cultural diversity, however, on the other side this cultural diversity is a challenge for the national identity. He concluded by saying that the Ministry of Culture aims to build bridges between different artistic expressions. Does this mean that the Lebanese state and its institutions tend to favour artistic forms that melt the cultural diversities of Lebanon into one piece of art, over artistic expressions that focus on extreme positions?5 The creation of a “Lebanese music”, as I shall argue later, seems to underline this assumption. 6 Kaden 1984; Middleton 1990; Moore 2003; Parzer 2004; Stokes 2003; Walser 2003. 2In my work I follow theoretical approaches by John Shepherd (1991, 1997), Peter Wicke (2002, 2003), Robert Walser (2003) and others6. While many musicologists analyse music without its context, and some anthropologists tend to focus on the discourse around music and not the music itself, the scholars mentioned try to analyse music as a social text. The analysis of music as a primary source yields significant data on the context and conditions musicians are living and working in. My work in Beirut is therefore first and foremost an ethnographical case study, that aims to promote the use of music analysis as a tool for the analysis of society in the context of cultural globalisation and localisation. I am aware that reading music as a social text is rather difficult and delicate. Walser (2003) states that it is important to contextualize each piece of music in time and space, and that it is therefore crucial to know all the references and quotations musicians use in their music. As a consequence I try to collect as much information about music and musical activity in Beirut and Lebanon as possible. 3This article aims at giving a first ethnographical overview about Beiruti musicians born during the war. At the same time, it is mapping out these musicians’ sound memories and draws first conclusion of how this sound memory is in interaction with today’s artistic expression. 4During my fieldwork7 I met and interviewed around eighty musicians, curators, producers, music journalists and musicologists who work within different musical fields in Beirut. I observed musical activity in numerous settings: from international music festivals in Baalbek, Beiteddine and Byblos, to club concerts in the trendy Beirut areas of Gemmayzeh and Hamra, to rehearsal sessions in small cellars or in big villas. With the help of musicians, musicologists, radio journalists, music lovers and organisations, I collected music that was produced in Lebanon since the early 20th century, plus sound and sonic material from Beirut from the last thirty years (radio and TV jingles and adds, melodies from soap operas, political songs and speeches by the different Lebanese militias, parties and their leaders, sounds from the Lebanese war). The idea is to create a sociology of sound in order to shed light on certain references the musicians are using in their music. As an additional research methodology I have conducted interviews with musicians querying them about their main musical influences and references. At the first glance, most of these influences come from outside of Lebanon; especially Pink Floyd was mentioned on numerous accounts. However, further discussions pointed out the importance of local influences. 5The focus of my work, and of this article, comprises the generation of musicians who were born during or just before the Lebanese civil war (1975‑1990). These rappers, rock, death-metal, jazz, electro-acoustic musicians, free improvisers, Arabic singers, ‘oud-, qânûn- and riqq-players choose local and global sounds, rhythms, forms and noises to express their connection to their surroundings and to the world. Within the context of Lebanon, these artists can be considered as “alternative” or “subcultural” in relation to the dominant “commercial” pan-Arabic pop scene that is constantly reproduced by satellite TV stations. In this article, the term “subcultural” does not define musical qualities, but rather the relation between the music and its context. Marc Slobin positions the notions of “superculture”, “interculture” and “subculture” in music making within power structures. Following this logic, the Arab pop scene can be categorised as “superculture”; imported Western classical and popular music (such as Mozart and Madonna), and Lebanese music that is heard throughout the world (such as Feyrouz and Marcel Khalifeh) could be defined as “interculture”. Finally, the music played in small circles in Beirut can be regarded as “subculture”. As in Appadurai’s conception of “-scapes”, the borders between the different “-cultures” are not fixed and always in flux. 9 See also Stone 2007, 2005, 2003/2004. 10 Sahhab, interview with the author, Beirut, 2006. 6In order to establish the musical context, I would like to pinpoint a few key issues and key dates of Lebanese musical history of the 20th century. Marc-Henri Mainguy (1969) shows in La Musique au Liban, one of the few books about history of music in Lebanon, that the main institutions of music8 were heavily influenced by Western classical music and French teachers, such as Betrand Robillard. Arabic or Oriental music was often seen as primitive. In order to gain validity, it had to be harmonized, and played in big orchestras rather than small Arabic takht-ensembles. A new “Lebanese music” was created that melted the rural music of the region with Western classical music principles. Radio Levant (from 1940) and the music festival of Baalbek (since 1955), supported by the Chamoun and Chehab regimes9, and the Lebanese Ministries of Education, Finance and Tourism, were the thriving forces behind this idea. This Lebanese music was played at the main historical sites (Baalbek, Byblos, Beiteddine) of the still young Republic. Musicologists and composers from all over the world came to Lebanon to study this new approach between “Orient” and “Occident”. And they proposed workshops on earlier experiments with rural and urban music by Béla Bartok, Zoltan Kodaly, Bedrich Smetana, Jean Sibelius and others. Local composers and musicians such as ‘Assi and Mansour Rahbani with their singer Feyrouz, but also Zaki Nassif, Sabah, Wadi el-Safi, Philémon Wehbe and Nasri Chamseddine became well-known within this field. They created a new tradition that was not directly linked to the classical Arabic music and to the 20th century Egyptian composers, and singers such as Umm Kulthûm, Muhammad ‘Abd al-Wahhâb or Sayyid Darwîsh. The musicologist Victor Sahhab10 among others claims that the Lebanese music establishment always had a problem with accepting the Islamic influence on Arabic music. Most of the Lebanese singers did not sing in the tradition of sheikh, which is linked to Qur’an recitation. Therefore, these Lebanese composers and those who backed them up, created a new musical mix which had no direct impact on developments within the Arabic musical tradition. By corollary, this detachment has consequences for today’s generation of musicians. However, in Lebanon, reality is never black and white: while in 1966, the Egyptian diva Umm Kulthûm sang in Baalbek, one of the main voices in New Music, Karl-Heinz Stockhausen, gave workshops in Beirut, and crossed “Orient” and “Occident” through tape and electronic music. 11 Mroué, interview with the author, Beirut, 2006. 12 Fayad, interview with the author, Beirut, 2006. 8Ziyad Rahbani settled down in what was to become the Muslim dominated, albeit mixed area of West Beirut, while his family stayed in the Christian dominated Eastern parts of the city. He gathered musicians around him and created a scene that was mainly connected to leftist and communist parties and ideas. The singers Marcel Khalifeh and his Al Mayadeen Ensemble, Ahmad Kabour and Khaled el-Haber promoted the ideas of the communist party. The party members distributed and bought their cassettes and attended their concerts. Young ensembles covered their songs: the well-known Lebanese artist Rabih Mroué remembers going to play his flute with an ensemble at the green line to entertain the communist fighters during a cease-fire11. 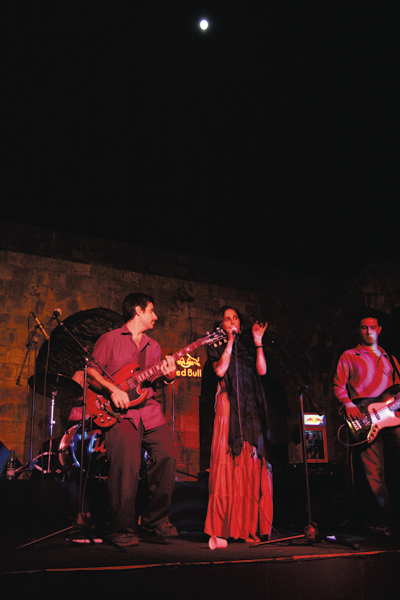 West-Beirut saw also jazz rock and rock bands like The Force and Exceed. The members of these bands – Emile Boustani (drums), Fouad Afra (drums), Aboud Saadi (bass) and others – still play in today’s jazz and fusion scene, or work as session musicians in the pop market. There was also a flourishing entertainment and party scene. Khaled Fayyad, DJ at the Midway Radio Station between 1984 and 1989, explains that nightclubs were always packed12. A lot of hashish and cocaine came into play. People wanted to dance, party and forget. Fayyad used to play his records there: Supertramp, The Police, Scorpions, Toto, Foreigner, Alan Parsons Project and others. 9East Beirut had a different music scene. Groups like the Ghassan Rahbani Group (GRG), Fugitive Entity (with today’s owner of Virgin Mega Store Beirut, Jihad Murr), ZED (with today’s pop music producer Hadi Sharara), Electric Warriors, Angel and others were mostly playing cover songs from the West: rock, heavy metal, death metal from bands like Whitesnake, Deep Purple and Rainbow. The main concert venues were situated in the Christian town of Jounieh, North of Beirut. Disco clubs could be found in Jounieh, in the ski resort Faraya, in places on Mount Lebanon like Broummana and, very few, in the Beiruti neighbourhood of Achrafiyeh. Most of the bands just wanted to escape the violence and difficulties of life in Beirut. 10Together these musicians in East Beirut and West Beirut created a tradition for popular music in Lebanon. Its division between mainly leftist musicians, who fused Arabic and Western styles, and small bands that played popular styles from the West, remains unchanged till today. 13 Ad played on radio Voix du Liban in 1980. 14 Sfeir, interview with the author, Beirut, 2006. 15 Omarz, interview with the author, 2005. 16 Haber, interview with the author, 2005. 13The musicians at the centre of this article were born between 1975 and 1983. Most of them stayed in Beirut with their families during the Lebanese war, some moved temporarily to their families’ second houses in the Lebanese country side, and a few left for France and other countries and returned after the war. Among these musicians one finds men and women, Sunni, Shi‘a, Maronites, Druzes, Christian Orthodox, Greek Orthodox, Armenians, Palestinians and members of other confessional groups. Religion does not seem to play an important role for them: some groups and circles are mixed. Most of the musicians come from middle, upper middle or even upper class backgrounds – with a few exceptions. While some teach at the conservatory and in music or art schools, others play as session musicians in different jazz and Arabic ensembles to earn a living. Few can afford to focus entirely on their music because of their wealthy families. Contrary to the idea of alternative lifestyles and subcultural practises elsewhere, most of the musicians can afford to spend their nights in bars that would be above the budget of the average Lebanese. Charbel Haber from Scrambled Eggs. 14With their music, these musicians create alternatives to the over-represented mainstream pop culture – or, as Beck, Giddens and Lash (1996) would say, they can afford to take the risk to choose alternative lifestyles, and to live biographies that are based on possibilities rather than on security. Most of the musicians studied art or business at the international universities of Beirut: the American universities AUB and LAU and the French Université Saint-Joseph. The others studied at the national conservatory or were educated at the Académie Libanaise des Beaux-Arts (ALBA), Holy Spirit University of Kaslik, Antonine University, Lebanese University or other Lebanese universities. Beck, Giddens and Lash would call these musicians “reflective actors”: they are situated in urban, intellectual, economically privileged social strata; working within transnational networks; well informed about cultural and political developments in the world, whilst criticising their own society in various ways. These Beiruti musicians produce their music in small studios with the latest sound software and good sound equipment. They create their own small record and production labels such as Those Kids Must Choke, The Slaughterhouse, Mooz Records and Chichprod, or they work with small independent labels in Beirut: Forward productions, Chill Islands or Incognito, the new label from La CD-Thèque. Some of them compose music for independent Lebanese feature, short or documentary films, others work as sound designers for films, TV ads, and Arabic pop videos. The musicians give concerts at art galleries like Espace SD, theatres like the Marignan or al-Madîna, cultural centres like Zico House, clubs and bars like Basement, Walima, Bar Louie, Club Social, or at beach-clubs and sometimes at venues specially created for a specific event, such as the Luna Park Festival in June 2006. The main areas for this “subcultural” concert life are the mixed commercial centres of Hamra and the trendy bar and club area in Gemmayzeh. Some concert venues, like the rock club Nova are located in the international hotel area in the Eastern suburbs. Spaces like Forum de Beyrouth and Art-Lounge opened near the Armenian neighbourhood Bourj Hammoud. 15Today the “subcultural” music scenes reach only a small audience. Concerts attract rarely more than five hundred people. The exception is the “rock”, “heavy metal” and “gothic” scene that plays at festivals like Rock Nation at the marina in Dbayeh in front of a crowd which can amount up to two thousand people. The musicians often advertise their concerts themselves, through emailing and text messages. Most of them design their own posters, which they spread mainly in Hamra and Achrafiyeh districts. The media coverage is limited to the French Agenda Culturel, the new Time Out Beirut, and the English daily The Daily Star. Occasionally, the French newspaper L’Orient Le jour and the Arabic papers Al-Nahâr and Al-Hayât cover concerts and review CDs. TV and radio stations show little interest. Financial support from Lebanese institutions is almost non-existent. The Lebanese Association for Plastic Arts, Ashkâl Alwân, supports sound installations or “musique concrete” projects. Limited grants come from international institutions, primarily the Centre Culturel Français, Goethe Institut, and occasionally from Swiss Arts Council “Pro Helvetia”, and the American embassy. The latter is active in the fields of “free improvised music” and jazz. Rock, rap and electronic music events find sponsors mainly in the alcohol and tobacco industry. Virgin Megastore supports the local death metal and gothic bands Weeping Willow and Arcane thanks to Virgin manager Jihad Murr, a former gothic and rock musician. Censorship doesn’t seem to play a major role: the musicians claim that they can produce and release whatever they want. But if they do so, they have to stick to their own channels of distribution and cannot rely on the established media. However, some musicians seem to provoke being censored in order to get media coverage as “censored artists” – a good advertisement! 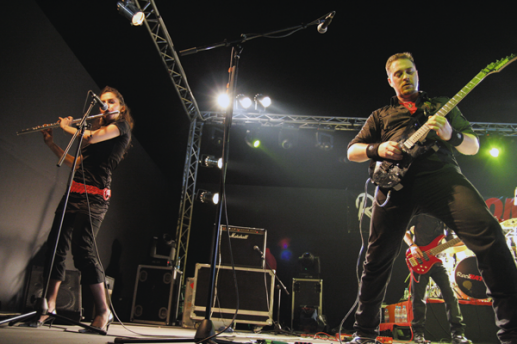 The gothic band Arcane at the festival “Rock Nation”. Rapper Wael Kodeih aka Rayess Bek. 16Outside of Lebanon, the exposure of these musicians seems to be growing. The “free improvised music” scene, especially Mazen Kerbaj, Raed Yassin, Charbel Haber and Sharif and Christine Sehnaoui (a couple that lives in France but spends a lot of time in Beirut) get reviews in internationally recognized music magazines such as The Wire, and are able to organise concert tours throughout Europe and the US. Zeid Hamdan and his Lebanese trip hop duo Soap Kills are regularly invited to Australia, North Africa, Paris and elsewhere. Hamdan’s new post rock band The New Government is still very much a local product. The musicians of the Arabic music scene do not perform abroad a lot. At times, they get invited to Egypt. The singer Rima Kcheich performs in Europe and the US with the US-based ‘oud player Simon Shaheen. 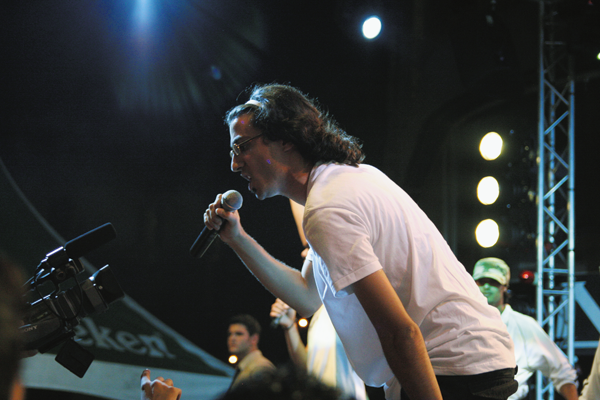 The rap artist Rayess Bek performs in France. High air fares and visa difficulties make travelling difficult and often unaffordable. 17The music styles these musicians play range from rap, jazz, rock to death metal and from electronic music to free improvisation to forms of crossover music inspired by music from Egypt, Lebanon, Syria, Turkey, but also India and Africa. The references are diverse: Sayyid Darwîsh, Muhammad ‘Abd al-Wahhâb and Umm Kulthûm; Johann Sebastian Bach, Eric Dolphy and John Coltrane; Pink Floyd, Metallica, Black Sabbath and others. Half of the musicians play music without lyrics. The others sing or rap in English and/or Arabic, a few also in French. 18The “subcultural” scene can be grouped into five different categories: first, those who work in the field of “free improvised music”, and the ones who work within “sound design” and “musique concrete”; second, those who work in the field of “Arabic music” (the composers and musicians who play the songs of Egyptian composers, the musicians who fuse Jazz and Oriental music and the few who experiment with classical Arabic music in new fashions and with new instruments); third, the rock, heavy metal, death metal and gothic bands and fourth, the rap, electro, trip hop scene, that quite often uses oriental flavours to give its urban music a local touch. This scene is maybe closest to create a musical middle ground between the “superculture” and the “subcultures” in Lebanon. Last but not least, there is a small jazz scene to be found in Beirut. 19The different groups overlap and sometimes interact. In the Arabic and Oriental scene, musicians work as session musicians in different bands. 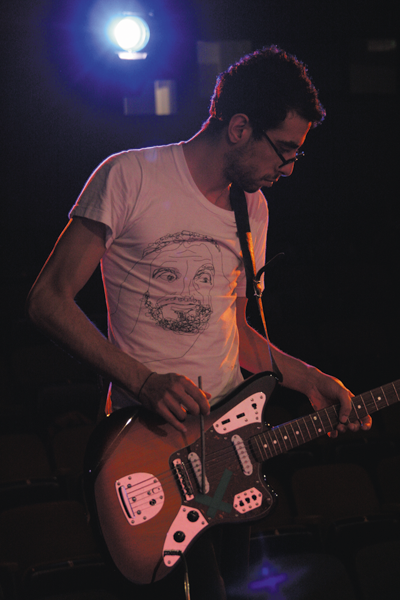 The guitarist Charbel Haber and his group Scrambled Eggs play “noise” and “drone sounds” in the “free improvised scenes”, and rock in the urban music scene. 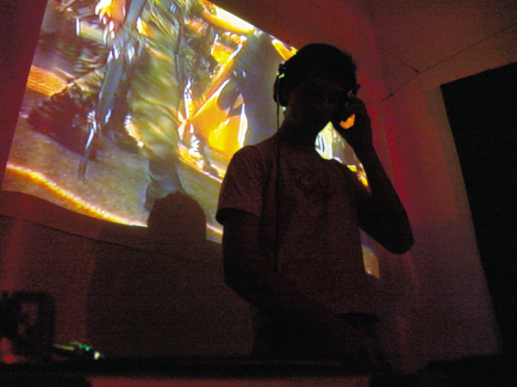 The urban music scene is closely linked to electro DJs and producers, who cater to Beirut’s nightlife and beach parties. The monthly magazine Time Out Beirut promotes Beirut already as the future Ibiza. Rap artists, on the other hand, play with musicians like Fahed Riachi from the Arabic scene. While in the fields of oriental jazz and jazz one finds a mix of generations, the other circles are dominated by musicians born during the Lebanese war. 20In the following section, I will introduce the composer, ‘oud player and singer Ziyad Sahhab, and the trumpet player and free improviser Mazen Kerbaj: two opposite poles inhabiting today’s Beiruti soundscape. 21Ziyad Sahhab was born in Beirut in 1982. His father, the musicologist Dr. Victor Sahhab, published books on the Egyptian musicians and composers Sayyid Darwîsh, Muhammad al-Qasabgî, Zakaryya Ahmad, Muhammad ‘Abd al-Wahhâb, Umm Kulthûm, Riyad al-Sunbatî and Asmahân, all of whom he considers to be the main agents in changing modern Arabic music. Today he is program director of Radio Liban and head of the Conseil international de la Musique du Liban. Ziyad’s uncle, Salim Sahhab, used to be the director and conductor of the important Arabic music orchestra, the Salim Sahhab orchestra, in Beirut. Now he works as a composer and conductor at the Opera house in Cairo. The family is from a Maronite Christian background. Contrary to the “Rahbani Nation”, Victor and Salim Sahhab always did care about the Islamic origins of Arabic music. Victor Sahhab emphasizes that all the good Arabic singers were trained in Qur’anic recitation (Sahhab, interview by the author, 2006). 22Ziyad Sahhab started playing the ‘oud when he was seven years old. His father gave him tapes with the great Egyptian singers and made him listen to Qur’anic recitation every day. Nevertheless, Ziyad Sahhab’s style of singing was more influenced by singers like Leonard Cohen and Roger Waters. Today, Sahhab is working as an ‘oud teacher in a private school. At the same time he is studying musicology at the Antonine University. Once a week he performs with his ensemble in the Walima bar in Hamra. They play songs from Muhammad ‘Abd al-Wahhâb, Sayyid Darwîsh, Ziyad Rahbani, Philémon Wehbe, and Feyrouz for a mixed audience that loves to sing along and dance. The musicians’ attire is casual (jeans, football shirts, sneakers), as is their behaviour (drinking beer, smoking cigarettes, making jokes). 23The members of the ensemble are considered leftists, both by in- and outsiders. Some of the musicians are indeed members of a leftist party; Ziyad Sahhab is not. He does not want to be a party member anymore, and dislikes the connection between music and politics: “During the Lebanese war many singers became singers by decision of a political party – a political not an artistic decision. Everyone in the party had to like ‘their’ singers and dislike the others. It’s awful. That’s why I don’t want to stick to one political party.” (Sahhab, interview by the author, Beirut, 2005). Escaping from political life is not easy for a politicised singer like Ziyad Sahhab. Sahhab received death threats from a Lebanese party after writing a column in a newspaper claiming that not every Jew is necessarily a Zionist. He encountered also problems in Bekaa valley, since Hizbullah did not approve of his music and his long hair. In his song I want to live calmly he speaks about the complex relationship between personal freedom and pressure from his surroundings. By the way, I’m getting married, in order to get divorced. By the way, I’m making a revolution that will surely not succeed. That there’s no racism, everyone’s democratic. Let me dream calmly, that I’ll learn calmly. 17 Sahhab, interview by the author, Beirut, 2006. 18 Sahhab, interview by the author, Beirut, 2006. 24As a singer with a leftist voice, Sahhab feels under pressure. “People always want to hear answers for today’s political situation. But so many times I don’t have the answers. I only have questions myself.”17 He sees himself as a musician, not a politician – even though he is very much interested in politics. As he says himself in his interview, he asks for just one thing: “Give me some time to find out my own positions. Allow me to make some mistakes, allow me to learn.” And, he continues: “I’m fed up with all the politics and therefore I’m basically fed up with who and what I am without being asked even.”18 This statement alludes to his familiar background as a member of a well-known family of musicians and leftists. Family background and family history still seem to count a lot in today’s Lebanon. 19 Sahhab, interview by the author, Beirut, 2005. 25Ziyad Sahhab’s singing and the Lebanese lyrics of the song are influenced by French chansons or “text singers”, as Ziyad Sahhab calls them. Arabic sheikh singing is absent. “The way I try to express myself is influenced by French singers. Arabic songs do normally not speak about everyday life and social issues. Listen to Charles Aznavour – he is able to express so many important and beautiful things! I myself want to develop my music in this direction, without loosing my Arabic and Egyptian musical roots.”19 The music is based on the Arabic maqâm scales Nahawand and ‘Ajam – two scales that are close to tempered Major and Minor scales. The melody lines, the technical approaches, the arrangement are, however, outside the maqâm tradition. The instrumentation is partly traditional takht – violin, ‘oud, and riqq –, but the guitar and the electric bass play along. 20 Sahhab, interview by the author, Beirut, 2006. 21 Kerbaj, interview by the author, Beirut, 2005. 22 Kerbaj, interview by the author, Beirut, 2005. 27Mazen Kerbaj, born 1975 in the Beiruti neighbourhood of Achrafiyeh, chose a different path. He plays free improvised music and never really listened to Arabic music. His father is a well-known Lebanese actor and his mother a painter. They taught him individualism, he says. “I’m very grateful for that, because there is no individualism in Lebanon. In one way or the other, people are always controlled by their families.” Kerbaj studied fine arts in Beirut, and he established a reputation as a well-known cartoonist and comics writer. Nowadays, he teaches illustration at the American University (AUB). In 1997 he started playing the saxophone, together with the Paris-based Lebanese musicians Christine and Sharif Sehnaoui. “We were a bunch of ten friends who played very bad free jazz. I played the saxophone, because Sharif had one. We rehearsed every day. But only Christine, Sharif and I continued.” (Kerbaj, interview by the author, Beirut, 2005). 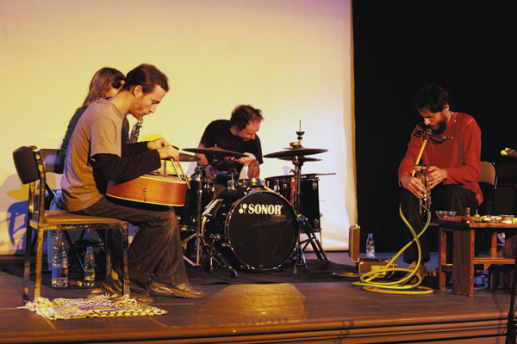 The three formed a trio, attracted more musicians, and created MILLS, an organisation for free Improvisation in Lebanon. After that, they started to organize the international festival Irtijâl and launched their own label, Al Maslakh (the slaughterhouse), with the idea “to publish the un-publishable in Lebanon.”21 They wanted to start a tradition for free music in Lebanon, Kerbaj remembers. “Someone has to start it. And once someone started it, there is always a chance that the music continues.”22 Kerbaj made the conscious decision to work out of Beirut. He did not want to be one among thousands of free improvisers in the West, but chose to build up a scene and a community of practitioners in Beirut instead. Nevertheless, he aspires to gain international recognition, to be the best free trumpet player in Beirut is not enough. 23 Kerbaj, interview by the author, Beirut, 2005. 28At first, French singers such as Serge Gainsbourg and Nino Ferrer influenced Kerbaj. Then he listened to Frank Zappa, Jimmy Hendrix and Pink Floyd. With the album Olé by John Coltrane he fell in love with instrumental music. He started to listen to Coltrane, Eric Dolphy, Albert Ayler and others. After that, his interest switched to the European Free scene: to Evan Parker and his circular breathing, Michel Doneda, Peter Kowald, Han Benning and others. The album Machine Gun by the German free improviser Peter Brötzmann became one of his favourites. “For me this was the answer to the American Free jazz. It was a collective music that was heavily structured.”23 Today Kerbaj listens mainly to trumpet players like Rajesh Mehta, Vinko Globokar, Axel Dörner, Franz Hautzinger and Greg Kelley. One finds all these CDs on a shelf in Kerbaj’s apartment in Sin el-Fil, an Eastern suburb of Beirut. Sharif and Christine Sehnaoui, Fabrizio Spera and Mazen Kerbaj (from left to right) at the Irtijal-Festival 2006. 24 Kerbaj, interview by the author, Beirut, 2005. 25 Kerbaj, interview by the author, Beirut, 2006. 26 Kerbaj, interview by the author, Beirut, 2005. 27 Kerbaj, interview by the author, Beirut, 2006. 30It was the trumpet player Franz Hautzinger who told Kerbaj one day that his sounds sounded very much like helicopters and rifles. This made Kerbaj think about the relationship between the sounds of his childhood and youth, and the sounds that he likes and creates today. “I went back and asked myself why I liked the CD ‘machine gun’ and its cover. I’m sure there is a relation between this album, my music today and my sound memories of my childhood. But I don’t really know how these things are connected to each other.”26 Asked about his sonic memories, Kerbaj’s eyes start to glow. He recalls precisely what the different weapons sounded like, and how he and his friends were able to tell if a shell was flying in or out. “It’s sad to say, but I’m nostalgic of this time – it sounds harsh. And I’m happy that the war is over. But when peace came I was 16 years old. I had spent my whole life in war. To me, war was normal and peace was an abstract concept.”27He thinks about this time more and more often, he says. And these thoughts increasingly become part of his playing. In the beginning, his music making was very much about rebelling against classical trumpet playing; today it’s about finding out about himself. 28 Eid, interview by the author, Beirut, 2005. The group Soap Kills with Zeid and Yasmine Hamdan. DJ Ceasar K from vibelebanon.com. 32In my Ph.D. thesis I try to work out a deeper analysis of the above mentioned interactions. The idea is not to get stranded in psychoanalytical methodologies, but to map as many co-relations as possible between sound memory and musical output. Pioneer in musicology, Leonard B. Meyer stated that “while cultural contexts are of relevance to the forms and styles of different musical genres, they do not affect the central aesthetic core of music itself.”(Meyer 1956: 65) In other words: one could assume – as many do – that these Beiruti musicians just copy existing local and global music styles. I insist – following Meyer – that it is important to analyze more profoundly how these musicians work within these styles. How does a musician develop his/her melodic lines, how does he/she improvise and play solos? How does he/she deal with the “clash” between Arabic scales and tempered harmonies? Answers to these and other questions lead us to the “core of music itself”, as Meyer puts it. It is in this “core” where locality – local memory and expression – can be found. And it is in this “core” where the life and working conditions, the possibilities and dependencies, of these artists are translated into personal sound statements. A deeper analysis of the “core” of music can therefore lead us to an alternative definition of what is “local” and “global” music. Abu Mrad N. and Beyhom A., 2007 : Musicologie générale des traditions, Revue des traditions musicales des mondes arabe et méditerranéen, 1, éditions de l’Université antonine. Al-Zubaidi L., 2005 : Walking a Tightrope – News Media & Freedom of Expression in the Arab Middle East, Report, Heinrich Böll Foundation, Beirut. Appadurai A., 1998 : “Globale ethnische Räume – Bemerkungen und Fragen zur Entwicklung einer transnationalen Anthropologie”, in U. Beck (ed. ), Perspektiven der Weltgesellschaft, Frankfurt am Main, Suhrkamp, p. 11-40. Appadurai A., 2003 (1996) : Modernity at Large: Cultural Dimensions of Globalization, Minneapolis, University of Minnesota Press. Beck U., 2002 : Riskante Freiheiten, Frankfurt am Main, Suhrkamp. Beck U., Giddens A. and Lash Sc., 1996 : Reflexive Modernisierung. Eine Kontroverse, Franfurt am Main, Suhrkamp. Beydoun A., 2003 : “A Note on confessionalism”, in Th. Hanf and N. Salam (ed. ), Lebanon in Limbo – Postwar Society and State in an Uncertain Regional Environment, Baden-Baden, Nomos Verlagsgesellschaft, p. 75-86. Binas S., 2002 : “Pieces of Paradise – Technologische und kulturelle Aspekte der Transformation lokaler Musikpraktiken im globalen Kulturprozess”, in H. Rösing and M. Pfleiderer (ed. ), Musikwissenschaft und populäre Musik – Versuch einer Bestandsaufnahme, Peter Lang Europäischer Verlag der Wissenschaften, p. 187‑197. Bourdieu P. and Wacquant L., 1996 : Reflexive Anthropologie, Frankfurt am Main, Suhrkamp. El Khazen F., 2003 : “The Postwar Political Process: Authoritarianism by Diffusion”, in Th. Hanf and N. Salam (ed. ), Lebanon in Limbo – Postwar Society and State in an Uncertain Regional Environment, Baden-Baden, Nomos Verlagsgesellschaft, p. 53-74. Enzensberger H. M., 2002 (1970) : “Baukasten zu einer Theorie der Medien”, in W. K. Günter Helmes (ed. ), Texte zur Medientheorie, Stuttgart, Reclam. Erlmann V., 1995 : “Ideologie der Differenz – Zur Ästhetik der World Music”, in PopScriptum 3 – World Music, Humboldt-Universität zu Berlin, p. 6-29. Faour M., 1998 : The Silent Revolution in Lebanon: Changing Values of The Youth, Beirut, American University of Beirut. Friedman J., 1997 : “Global Crises, the Struggle for Cultural Identity and Intellectual Porkbarrelling”, in P. Werbner and T. Modood (ed. ), Debating Cultural Hybridity: Multi-Cultural Identities and the Politics of Anti-Racism, London, New Jersey, Zed Books, p. 70-89. Giddens A., 1995 : Konsequenzen der Moderne, Frankfurt am Main, Suhrkamp. Guibault J., 1995 : “Über die Umdeutung des ‘LOKALEN’ durch die WORLD MUSIC”, in PopScriptum 3 – World Music, Humboldt-Universität zu Berlin, p. 30-44. Hall St., 1990 : “Cultural identity and Diaspora”, in J. Rutherford (ed. ), Identity. Community, Culture, Difference, London, Lawrence and Wishart, p. 222-237. Hall St., 1994 : Rassismus und kulturelle Identität, in Ausgewählte Schriften 2, Hamburg, Argument-Verlag. Hanf Th., 2003 : “The Sceptical Nation – Opinions and Attitudes Twelve Years after the End of the War”, in Th. Hanf and N. Salam (ed. ), Lebanon in Limbo – Postwar Society and State in an Uncertain Regional Environment, Baden-Baden, Nomos Verlagsgesellschaft, p. 197-228. Horkheimer M. and Adorno T. W., 1971 : Dialektik der Aufklärung. Philosophische Fragmente, Frankfurt am Main, Fischer Taschenbuch. Irani G. E., 2006 : “A globalized Levantine revisits a land of uncertainty”, in Daily Star, 25/04/2006. Kaden Chr., 1984 : Musiksoziologie, Berlin, Verlag Neue Musik. Khalaf S., 2003 : “On Roots and Routes: The Reassertion of Primodial Loyalties”, in Th. Hanf and N. Salam (ed. ), Lebanon in Limbo – Postwar Society and State in an Uncertain Regional Environment, Baden-Baden, Nomos Verlagsgesellschaft, p. 107-142. Luhmann N., 2002 : “Die Realität der Massenmedien”, in W. K. Günter Helmes (ed. ), Texte zur Medientheorie, Stuttgart, Reclam. Mainguy M.-H., 1969 : La Musique au Liban, Beirut, Dâr an-Nahâr. Makdissi J. S., 1990 : Beirut Fragments – A War Memoir, New York, Persea Book. Melucci A., 1997 : “Identity and Difference in a Globalized World”, in P. Modood and T. Webner (ed. ), Debating Cultural Hybridity, London, New Jersey, Zed Books. Meyer L. B, 1956 : Emotion and Meaning in Music, Chicago, Chicago University Press. Middleton R., 1990 : Studying Popular Music, Bristol, Open University Press. Moore A. F., 2003 : Analyzing Popular Music, Cambridge, Cambridge University Press. Parzer M., 2004 : “Musiksoziologie remixed – Impulse aus dem aktuellen kulturwissenschaftlichen Diskurs”, in Institut für Musiksoziologie (ed. ), Vol. 4. U. f. M. u. D. K. W., Wien, Schriftenreihe Extempore. Rezk L. and Stéphan-Hachem M., 2006 : Les biens culturels dans quatre pays du Machrek arabe : une diversité à l’épreuve du marché, Report for Heinrich Böll Foundation, Middle East Office, Beirut. Said E. W., 1978 : Orientalism, London, Routledge and Kegan Paul. Said E. W., 1993 : Culture and Imperialism, London, Chatto and Windus. Shepherd J., 1991 : Music as Social Text, Oxford, Polity Press and Basil Blackwell. Shepherd J. and Wicke P., 1997 : Music and Cultural Theory, Cambridge, Polity Press. Slobin M., 1993 : Subcultural Sounds – Micromusics of the West, Hanover, London, Wesleyan University Press. Stokes M., 2000 : “East, West, and Arabesk”, in G. Born (ed. ), Western Music and its Others: Difference, Representation, and Appropriation in Music, Berkeley, University of California Press, p. 213-233. Stokes M., 2003 : “Talk and Text: Popular Music and Ethnomusicology”, in A. F. Moore (ed. ), Analyzing Popular Music, Cambridge, Cambridge University Press, p. 218‑239. Stone Chr., 2003/2004 : “The Ba’labakk Festival and the Rahbanis: Folklore, Ancient History, Musical Theatre and Nationalism in Lebanon”, in Arab Studies Journal 11.2-12.1, Fall 2003/Spring 2004. Stone Chr., 2005 : “Ziyad Rahbani’s ‘Novelization’ of Lebanese Musical Theatre or The Paradox of Parody”, in Middle Eastern Literatures 8/2, July. Stone Chr., 2007 : Popular Culture and Nationalism in Lebanon. The Fairouz and Rahbani Nation, London, Routledge. Walser R., 2003 : “Popular Music Analysis: Ten Apothegms and Four Instances”, in A. F. Moore (ed. ), Analyzing Popular Music, Cambridge, Cambridge University Press, p. 16-38. Wicke P., 2002 : “Popmusik in der Theorie – Aspekte einer problematischen Beziehung” in H. Rösing and M. Pfleiderer (ed. ), Musikwissenschaft und populäre Musik – Versuch einer Bestandesaufnahme, Frankfurt am Main, Peter Lang, p. 61‑71. Wicke P., 2003 : “Popmusik in der Analyse”, in Acta Musicologica LXXV, p. 107ff. 1 Appadurai 1998, 2003; Beck, Giddens and Lash 1996; Beck 2002; Bourdieu and Wacquant 1996; Friedman 1997; Giddens 1995. 3 Binas 2002; Erlmann 1995; Guilbault 1995; Hall 1990, 1994; Melucci 1997; Said 1993, 1978; Stokes 2000. 4 Conference “Negotiating diversity – challenges for cultural expression and policies in the corporate era”, May 11-13, 2006, Beirut, organised by Heinrich Böll Foundation, Middle East Office. 5 By asking this question one has to keep in mind that the budget of the Ministry of Culture is very limited, only 0,2% of the national budget (Rezk and Stéphan-Hachem 2006: 13). 7 As there is hardly any literature on music in contemporary Lebanon, my research relies heavily on ethnographical fieldwork. Within Lebanese musicology and ethnomusicology one finds mainly literature and information on ‘Assi and Mansour Rahbani and Feyrouz, on Feyrouz’ son Ziyad Rahbani, sometimes on political singers like Marcel Khalifeh. Today’s musicologists from Lebanon focus mainly on Egyptian music (Dr. Victor Sahhab), on theories about maqâm modes, scales and quartertones (Nidaa Abou Mrad, Amine Beyhom) and on history of music in the Levant (Nidaa Abou Mrad). In June 2006, Université Antonine in Beirut and Université La Sorbonne in Paris organised the international colloquium “Traditions musicales au carrefour du systématique et de l’historique – Prolégomènes à une musicologie générale des traditions” in which musicologists, priests and sheikhs from Lebanon and Paris exposed their researches on music traditions in Lebanon (Abou Mrad and Beyhom 2007). 8 The National Conservatory (from 1929) and music associations like Association des musiciens amateurs (AMA) (from 1937), and the Académie libanaise des Beaux-Arts (ALBA) (since 1943). BURKHALTER, Thomas. Mapping Out the Sound Memory of Beirut : A survey of the music of a war generation In : Itinéraires esthétiques et scènes culturelles au Proche-Orient [en ligne]. Beyrouth : Presses de l’Ifpo, 2007 (généré le 20 avril 2019). Disponible sur Internet : <http://books.openedition.org/ifpo/550>. ISBN : 9782351592687. DOI : 10.4000/books.ifpo.550. Burkhalter, Thomas. “Mapping Out the Sound Memory of Beirut : A survey of the music of a war generation”. Puig, Nicolas, et Franck Mermier. 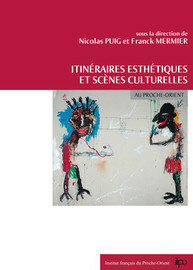 Itinéraires esthétiques et scènes culturelles au Proche-Orient. Beyrouth : Presses de l’Ifpo, 2007. (pp. 103-125) Web. <http://books.openedition.org/ifpo/550>. PUIG, Nicolas (dir.) ; MERMIER, Franck (dir.). Itinéraires esthétiques et scènes culturelles au Proche-Orient. Nouvelle édition [en ligne]. Beyrouth : Presses de l’Ifpo, 2007 (généré le 20 avril 2019). Disponible sur Internet : <http://books.openedition.org/ifpo/517>. ISBN : 9782351592687. DOI : 10.4000/books.ifpo.517. Puig, Nicolas, et Franck Mermier, ed. Itinéraires esthétiques et scènes culturelles au Proche-Orient. Beyrouth : Presses de l’Ifpo, 2007. Web. <http://books.openedition.org/ifpo/517>.